Hoch hack was a term introduced to me by Mariah Ewing sometime ago, I’m not exactly sure when. I do know, however, that Hoch hacks have had a profound impact on my experience at Harvey Mudd. You’ve probably seen life hacks before, and a Hoch hack is similar. It’s simply hack for the Hoch. If you are a freshman or a student living in a suite without a kitchen (which is almost everybody), then you must be on the meal plan. 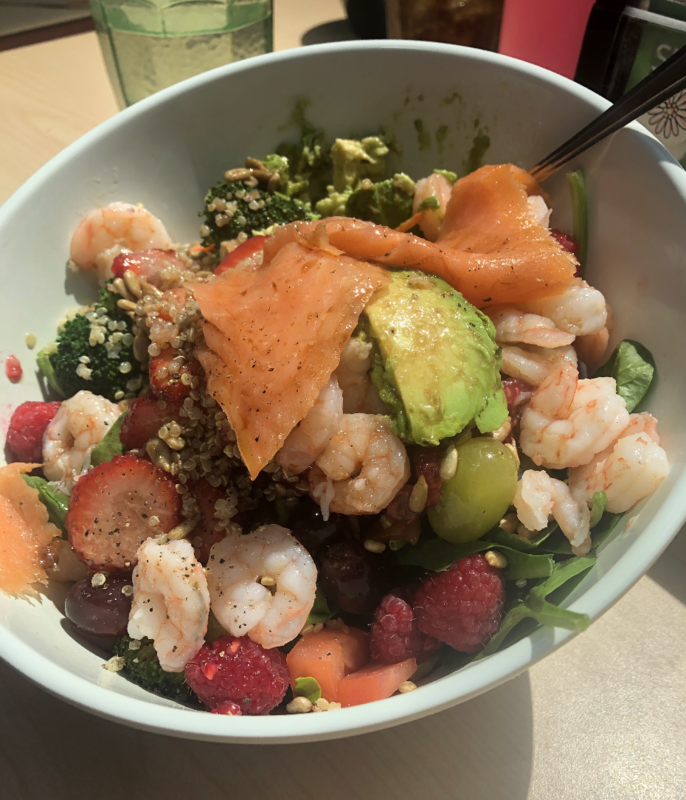 If you are like most people, and are too lazy to walk to a different dining hall, then that means you will probably be eating a decent amount of meals at the dining hall on Mudd’s campus, which is the Hoch. This is why it is so important, I might even say vital, to learn these Hoch hacks. In this blog post, I will be teaching you some Hoch hacks from my friends, hacks from the the Hoch hacks email thread, and also hacks from my own repertoire. These hacks that you are about to learn are just to get you started. 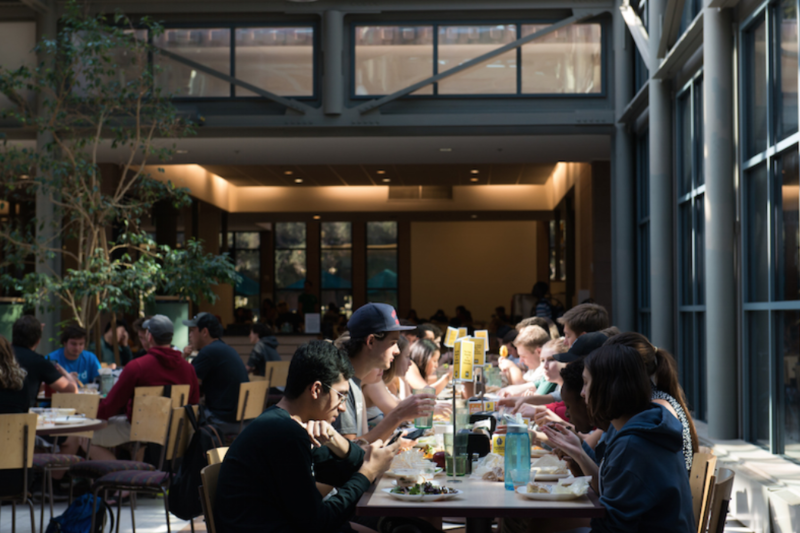 After a couple of weeks swiping into the dining hall, you will have probably created your own Hoch hacks. You might even write a blog post about them. At the choose-your-toppings salad bar, the chefs used to mix your salad for you. But one day, they stopped doing that. Luckily, there is an easy hack to toss your own salad. If you have a to-go box, you can just close and shake the box (it is suggested that you get your salad first before visiting other bars so that you don’t shake all of your food together). If you got a bowl, then you can just grab a plate, use it to cover the bowl, and shake. “Just Add Cumin” –Neeta R.
The title says it all. 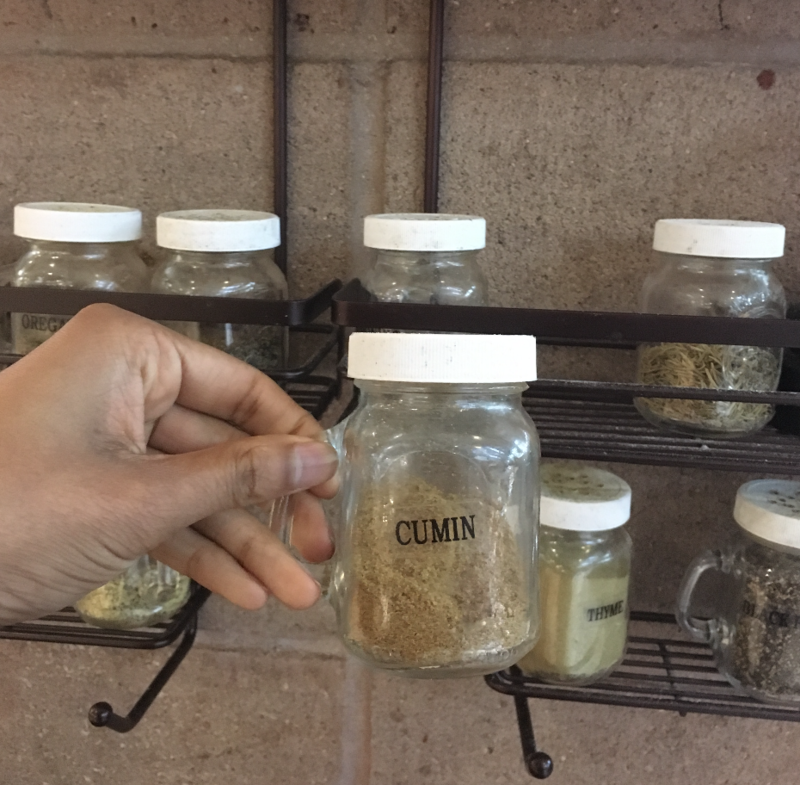 If you want to upgrade your meal, just add cumin. After mentioning the topic for this blog post, Lin told me about one of her hacks that was so innovative, I had to include it. She said that she would normally do this when she was short on time and wanted to have some sort of warm vegetable. First, she would head over to the pizza bar and grab a couple of slices. Then, she went to the salad bar and got spinach. She put the spinach on top of one slice, and she put the other slice face down onto that, thus creating what she called a spinach sandwich. I agree that it qualifies as a sandwich, and it maybe even qualifies as a panini. Sometimes, the choose-your-toppings salad bar just has too long of a line. 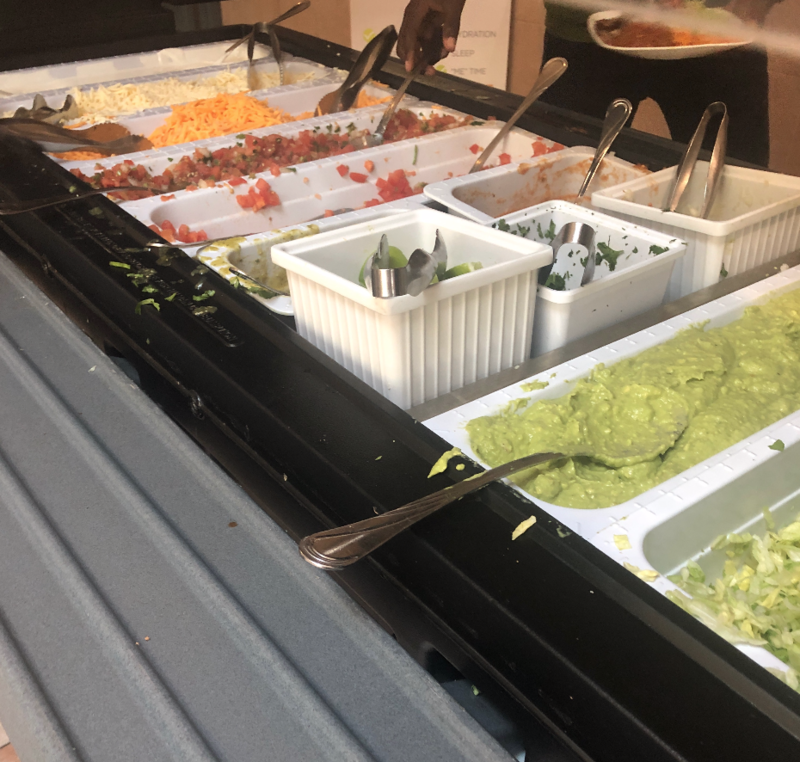 It’s disappointing, because the DIY salad bar does not have as many toppings and the options are not as exciting. But, I’ve found that I can still make an inspiring salad by using ingredients around the dining hall. For instance, you can get some good grilled veggies at the sandwich bar, and if you like cheese on your salads, you can find parmesan by the pizza. 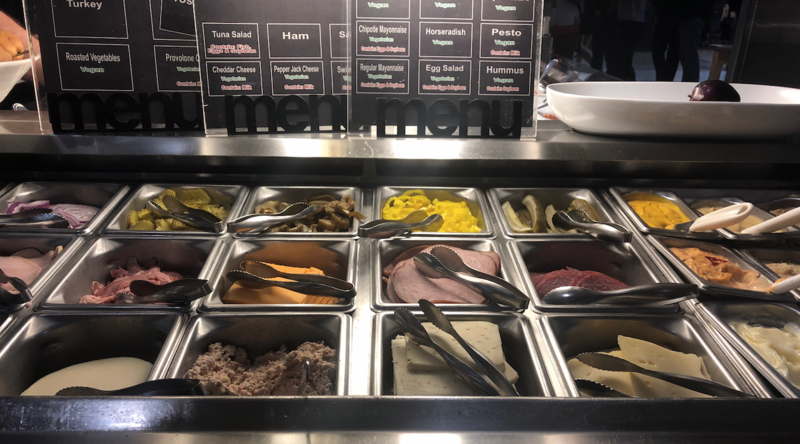 If you want a better salad dressing, you can mix the toppings from the sandwich bar (it has hummus, pesto, mustard, and many more). If you want to make a fancy niçoise salad, you can get potatoes and green beans from one of the bars on the left (I think it’s called Chef’s Corner). You’d be surprised just how many things qualify as a salad topping. On this day, one of the other bars had fajitas, so there were fajita toppings. Most people would overlook this array of toppings for their salad. Don’t do that! “Breakfast of Champions” –Isaac Z. With this breakfast, you’re sure to stay awake through your first class. It provides caffeine, fiber, and a nice crunch. 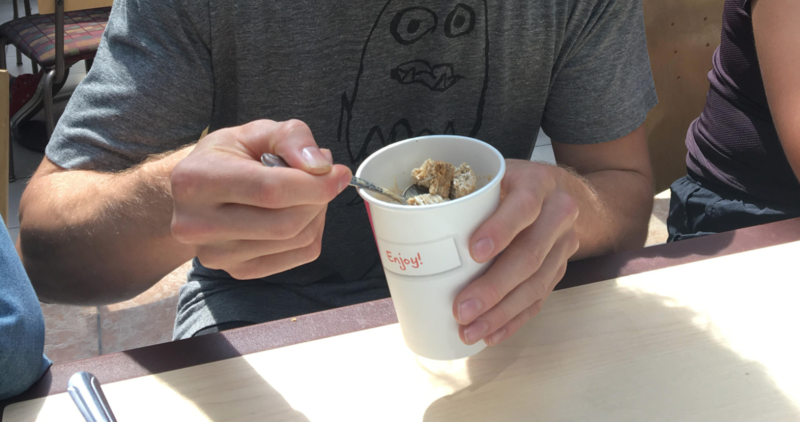 Simply take your cup of Hoch coffee, then fill it with your favorite cereal. Do you readers have any Hoch hacks of your own? If so, please share!